REHANA TEXTILES EMBROIDERY SERVICES IN ABU DHABI RIGHT IN OUR PRODUCTION UNIT. REHANA TEXTILES OFFERS THEIR CLIENTS AN EXCEPTIONAL RANGE OF EMBROIDERING SERVICES IN ABU DHABI. 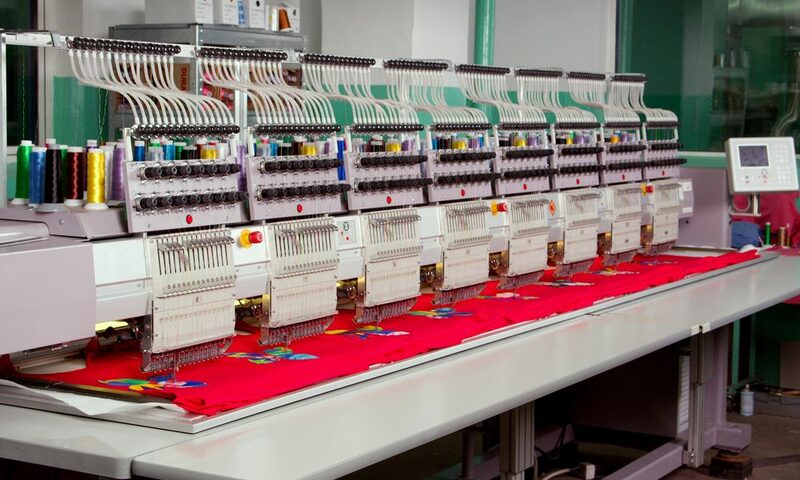 TO ENSURE COMPLETE CUSTOMER SATISFACTION, OUR TEAM WORKS CLOSELY WITH EVERY CLIENT, INCLUDING A SIT-DOWN SESSION TO DISCUSS THE SCOPE OF A PROJECT AND UNDERSTAND THE REQUIREMENTS AND NEEDS OF YOUR EMBROIDERY JOB. OUR EMBROIDERY SERVICES IN ABU DHABI PROVIDES COMPETITIVE PRICING AND AN EMPHASIS ON CUSTOMER SERVICE MAKES US A LEADER IN EMBROIDERY SERVICES, AND WITH SATISFIED CLIENTS FROM ACROSS THE CITY, YOU CAN REST ASSURED THAT OUR PROFESSIONAL TEAM WILL ENSURE YOUR PROJECT IS DONE ON TIME AND ON BUDGET, MEETING OR EXCEEDING YOUR EXPECTATIONS. THE EXPERTS AT REHANA TEXTILES TAKE THE TIME TO EXPLORE THE SCOPE OF THE PRODUCTS BEING EMBROIDERY SERVICES IN ABU DHABI, DISCUSSING T-SHIRTS, POLO SHIRTS AND OTHER CUSTOMABLE PRODUCTS TO ENSURE THAT EACH CUSTOMER IS SATISFIED WITH THEIR PROJECT, WHETHER IT IS LARGE OR SMALL. THEY CAN ALSO DISCUSS ANY CONCERNS ABOUT IMAGE SIZE OR COLORS, AND WORK TO FIND THE BEST SOLUTION FOR YOUR PRINTING OR EMBROIDERY NEEDS. IF CUSTOMERS HAVE AN ITEM IN MIND, THEY ARE WELCOME TO BRING IT IN. REHNA TEXTILES’S TEAM OF DESIGNER PROFESSIONALS IN OUR MUSAFFAH UNIT AND WE ARE HAPPY TO HELP DETERMINE WHETHER EMBROIDERY IS SUITABLE FOR YOUR SPECIFIC ITEMS, WHETHER IT’S PILLOW CASES, DUFFLE BAGS, SCARVES, BATHROBES OR ANY OTHER ITEM THAT YOU WOULD LIKE CUSTOMIZED AS A GIFT. TEAMS, COMPANIES AND INDIVIDUALS SEEKING EMBROIDERY SERVICES IN ABU DHABI AND AROUND THE VICINITY HAVE FOUND THAT OUR EMBROIDERY SERVICES BENEFITS FROM THE CAREFUL ATTENTION THEY RECEIVE BY WORKING WITH REHANA TEXTILES. .